The assignment of a detective to investigate requests for court-appointed lawyers in McLennan County has drawn criticism from defense experts, who warn that low-income defendants are being intimidated into waiving their right to counsel. WACO — In recent months, criminal defendants requesting a court-appointed lawyer in McLennan County have occasionally received something very different: a visit from a detective. Last November, the county assigned sheriff’s detective Eric Carrizales to investigate whether defendants requesting a lawyer are really as poor as they say they are. Local officials have praised the unusual idea as a way to save the county money by rooting out false claims by people who can afford to hire a private attorney. But the scheme has drawn criticism from criminal defense advocates, who warn that low-income defendants are being intimidated into waiving their right to a lawyer. The issue highlights the challenges facing Texas’ county-based approach to meeting the constitutional obligation of providing lawyers to those who can’t afford one. Texas ranked among the bottom five states in per-capita spending on indigent defense in 2008, according to a report by the National Legal Aid and Defender Association. It is also one of 18 states that rely on counties to provide the majority of funding for indigent defense, according to data compiled by the Sixth Amendment Center, a nonprofit organization based in Washington, D.C., that advises governments on meeting the constitutional requirement of assigned counsel. That can create pressure on counties to keep costs down, potentially putting them in conflict with their legal obligations. As a result, some experts say, whether poor defendants in Texas have access to a lawyer may depend on which county they live in. McLennan County officials say their plan could save money by discouraging defendants from requesting a court-appointed lawyer. Those observations seemed to confirm Marsh’s fears. She suspected that defendants were being told they had to let Carrizales into their houses as a condition for getting a lawyer. That would involve an unconstitutional waiver of either the Fourth Amendment prohibition of unreasonable searches or the Sixth Amendment right to counsel, she said. “It is not legal for a county to require you to waive one constitutional right in order to exercise another right,” she said. Court officials in McLennan County said that defendants were not being forced to choose among their rights. Carrizales said he knocks on the doors of defendants whom he suspects of lying, based on “discrepancies” in their applications, and asks to talk about their finances. “Most of the time, they ask me to come in,” he said. He also said he tells people who don’t want to talk to him that their applications require them to do so. The financial form defendants sign when seeking counsel, however, doesn’t include an agreement to talk to a detective. Melanie Walker, a defense attorney in Waco, said she trusted Carrizales and sympathized with the county’s desire to save money. But she worried that defendants wouldn’t know that they had the right to decline to let the detective into their homes. “People have a right to feel secure in their homes whether they’re indigent or not,” she said. 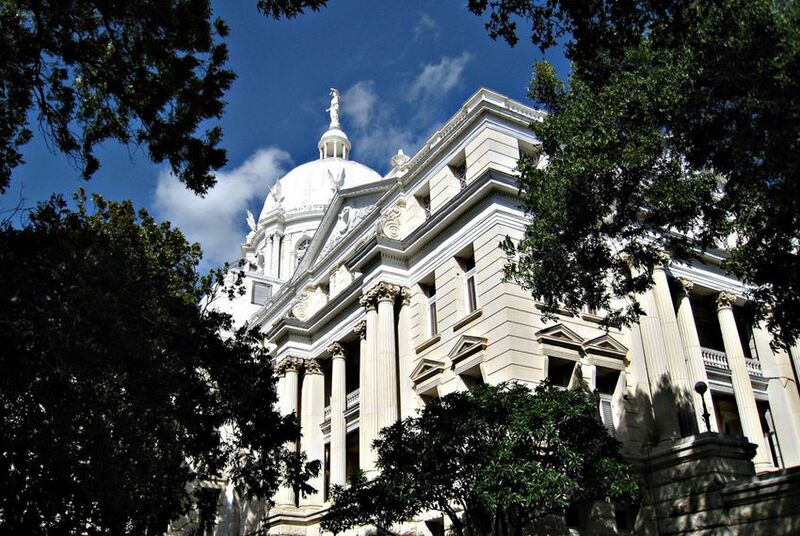 Jim Bethke, executive director of the Texas Indigent Defense Commission, a state agency that oversees public defense in the state, said he hopes to discourage other counties from copying the McLennan County approach. Less invasive measures of screening applications can be effective without raising constitutional concerns, he said. The commission requires counties to submit indigent defense plans that meet certain standards, but its enforcement and oversight abilities are limited. That means Texas’ 254 counties vary widely in how well they comply with the 2001 Fair Defense Act, which imposed standards on the assignment of attorneys. A report by the commission on Jefferson County earlier this year noted systemic failures to appoint lawyers in misdemeanor cases, and found that court officials were refusing to appoint lawyers to defendants who could afford bond, in violation of the law. In Houston in June, defense attorneys handed out “know your rights” cards to defendants to protest allegations that a Harris County misdemeanor judge was pressuring defendants to plead guilty without receiving a lawyer. Bethke said budgetary concerns were only part of the reason some counties fail to meet the legal requirements for appointing lawyers. Carroll, of the Sixth Amendment Center, argued that if the state provided more of the funding for assigned lawyers, it would have an incentive to reduce punishments for nonviolent crimes like drug possession. The Legislature is in charge of the criminal code, but not for paying the legal fees associated with criminal prosecutions. “You need to elevate the discussion at the state level because that would trigger a more comprehensive approach to criminal justice,” he said. David Gonzalez, an Austin criminal defense attorney, agreed, pointing out that the greater the penalty, the more expensive a criminal charge is to defend. Local control could have some benefits, though, Gonzalez said, because the county-based Texas system allows for counties to experiment with different approaches to indigent defense. In January, Comal County announced a program in which indigent defendants would be able to choose their attorney. In June, the Texas Indigent Defense Commission approved a roughly $700,000 grant for Travis County to create a system that would place control of indigent defense in the hands of defense attorneys, rather than judges. Polk County District Attorney Lee Hon said counties need to have flexibility, because each one is different.